One of the best ways to grow your start-up business into something bigger is by getting the most out of your employees, and the easiest way to do that is by running a company where people love to work. 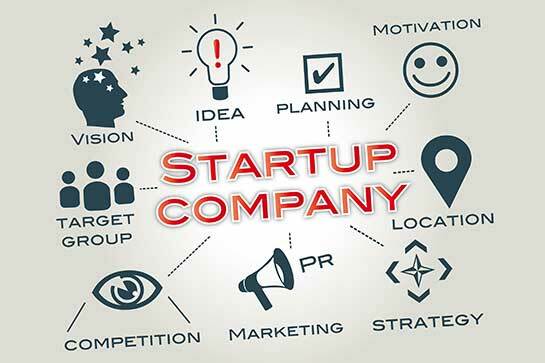 Here are six ways to make your start-up business a place where people love to work. Creating a work environment where employees work as a team is about more than just employing the right people. It takes some active thought and effort, since it becomes harder to retain close relationships as a start-up business grows. Try organising regular social events such as sports and charity events – it doesn’t need to be anything expensive, just anything that allows people to talk to those who they may not get a chance to talk to during regular office work. Showing a genuine interest in what they think not only makes them feel wanted and appreciated, but it also brings opportunities to hear new ideas that might benefit your start-up. This can be achieved through anything from holding informal meetings with various employees, to having an anonymous box where they can post their ideas without the fear of being judged. When you hire new employees, look out for people who not only have the competence for the job, but who also share the values of you and your start-up business. You’ll have to decide what this means for yourself since everybody has different values, but it could be that they have the same interests, it could be people with lots of energy who you think would bring lots of positivity to the office, or it could be that they’re great at communicating with customers and the other staff members. You should encourage people to be healthy because they’ll have more energy, they’ll be happier, and they’ll be more motivated. You could try buying fruit baskets for the office, or you could install showers in the office (if you have the space) to give employees the option of cycling to work. As a start-up, you can’t really afford to invest time and money into training your employees only for them to leave the company for a better job. Make sure they know they’ll be rewarded if they stick around and continue to do good work for you. You can achieve this through promotions or raises, or even through offering them shares of the business. As long as your employees do all the work that needs to be done, and they put in the hours, it doesn’t really matter when those hours are. Be flexible with working hours; your employees will be much happier if they know that they have the freedom to look after their sick child, or maybe a friend who they haven’t seen for years is in town and they want to meet up. And as a bonus, if you let staff work from home more regularly, you can afford to have a smaller office, meaning cheaper rent and energy costs.